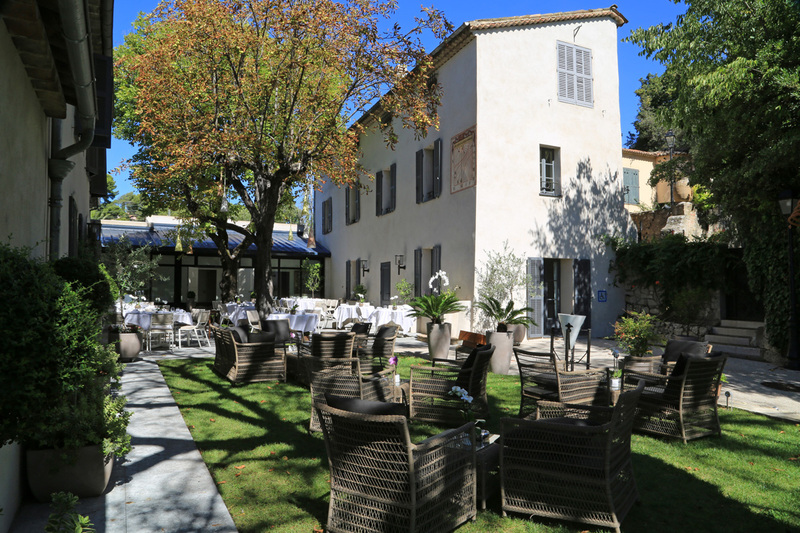 Just 10 minutes from the Cannes Croisette, the wonderful La Villa Archange is located in a discrete Bastide of Provençal style dating from the XVIIIth century, in Le Cannet. As you enter the unique property, you can feel the authentic and warm atmosphere of the restaurant. You can come as a couple, with friends or family, you will feel this special thing that makes you feel just like if you were home. 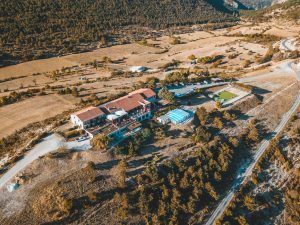 The building, the decoration that the Chef and his wife have personally shopped in antic shops and markets, the service makes the experience luxurious without the inconvenience of luxury. When the weather allows it, it’s possible to dine outside on the beautiful terrace. Discrete, just as the Chef of the restaurant, La Villa Archange is only visited by the ones in the known. 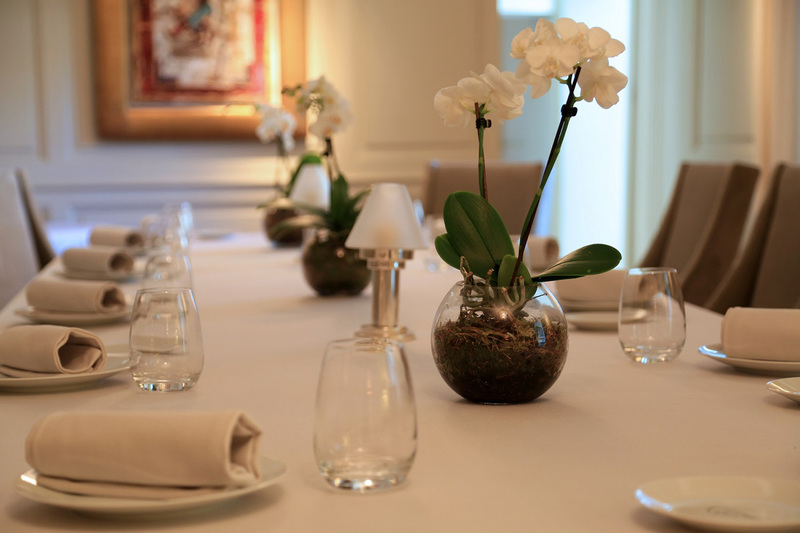 As a proof of exclusivity and quality, La Villa Archange restaurant is a member of the Relais & Châteaux and the Grandes Tables du Monde establishments. Michelin Star Chef Bruno Oger’s creates a cuisine made of delicious flavors, amazing combinations of products and a special attention to details. I had the honor and pleasure to meet him in his cozy salon while drinking a glass of champagne. He told me about his origins from Brittany, his mentors Georges Blanc and Anne-Sophie Pic and his wife, who has been supporting and inspiring him for already 25 years. He left me a souvenir of a very sweet and humble person, who seems very keen on working closely with his team. 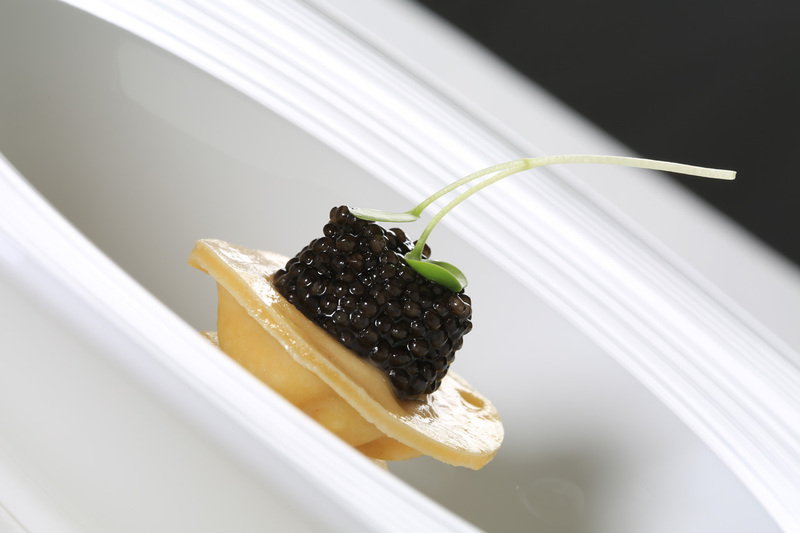 Articulating his cuisine with exceptional-only products like foie gras, frog, truffles or caviar, Bruno Oger has a special savoir-faire in creating exceptional plates. My dining companion and I were lucky enough to be proposed a tailor-made menu matching our tastes. As fine in the presentation as in the taste, all the plates which came on the table were made of delicacy, fabulous mix of flavors and sophistication. Shapes, tastes and colors are perfectly combined to create a beautiful and mouthwatering painting. 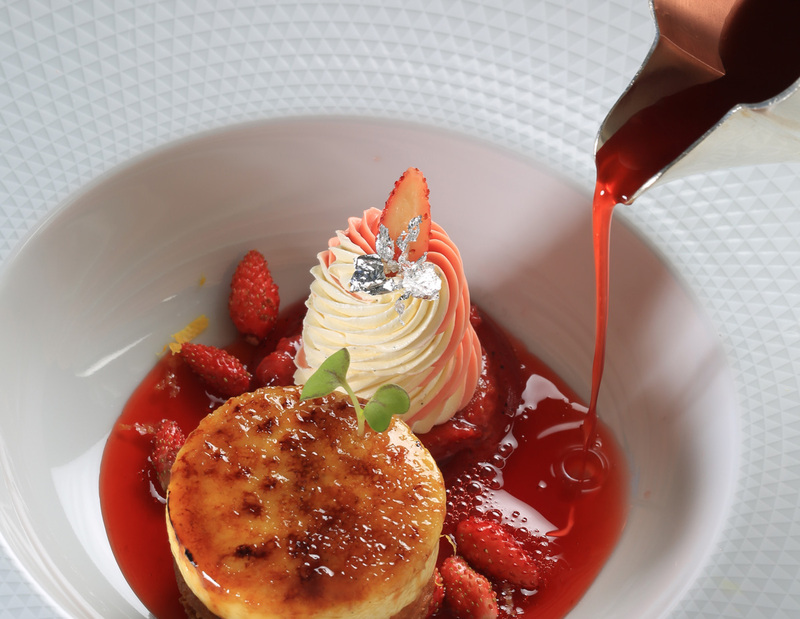 Mixing classic meals while styling them, the Chef offers his guests never-seen creations. The all dining experience is a surprise. From the delicious meals we had the pleasure to taste, there were two of the Chef’ signature meals: cut-knife beef of Salers, seasoning and double consommé and abalones from the Island of Groix with artichokes but also French frog cappuccino with clams, shallot and yellow wine sauce. 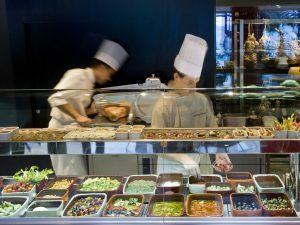 Working closely with Sylvain Mathy, 2002’s Desert French Champion, Chef Bruno Oger also proposes a high-level desert menu. 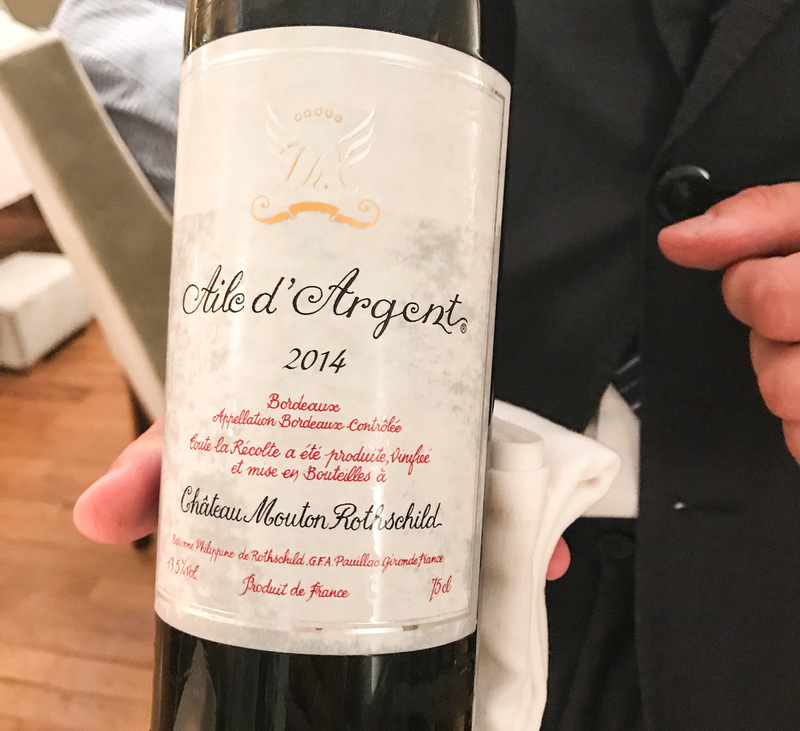 All dinner long, we were proposed wines like no other: La Bégude 2014, Schlossberg Riesling 2012 from La Maison Trapet, and probably my favorite wine now, Aile d’Argent 2014 from Château Mouton Rotschild. During the dinner, the waiters were as discrete as perfect hosts. They came at the right time to ask us if everything was ok and filled up our glasses when needed. Dining at La Villa Archange restaurant was a unique experience that I would recommend to anyone who wants to enjoy not only a gourmet diner but also live a culinary experience like no other. I can clearly say that I had never tasted a cuisine of that level, where the know-how of a Chef meets the creativity of an artist who wants to surprise its guests. 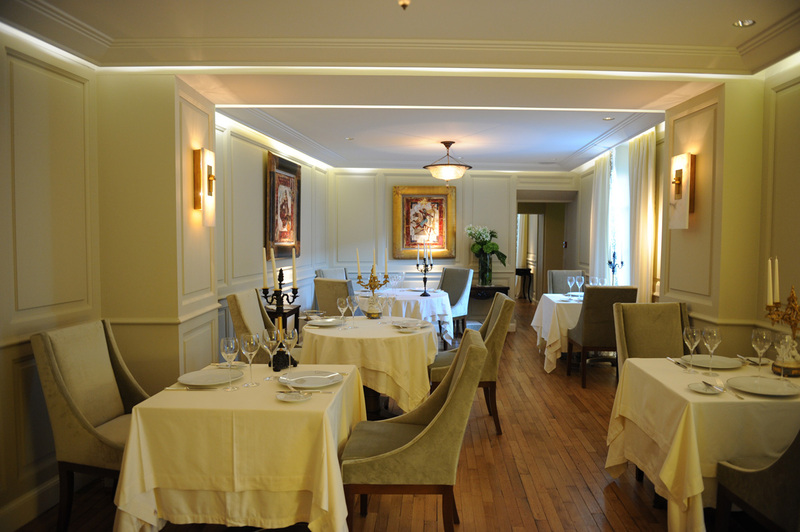 On top of that, the atmosphere of the restaurant has that little something that makes you enjoy even more your diner. I can promise that you will be delighted by Chef Bruno Oger if you dare to try his “made for gourmet-only” cuisine.